The 41st Book Fair in Chennai begins on January 10! 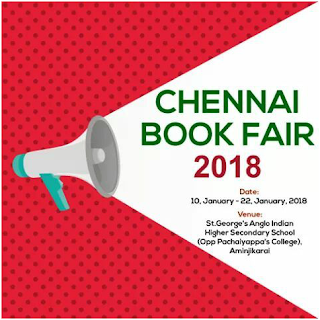 The 41st book fair in Chennai will start on January 10th. Every year there is a huge book fair for the South Indian publisher and seller association in Chennai. The exhibition will be held from January 10 to 22. The Exhibition will be held at St. George's High School premises in Chennai, near Pachaiyappa College, Chennai. The arrangements for this are taking place seriously.